Many accommodation businesses are confused about TripAdvisor’s direct bookings, are you one them? Let’s try to explain, so find a nice quiet spot to sit down with a glass or mug of your favourite drink. TripAdvisor is a booking website used to book accommodation online. 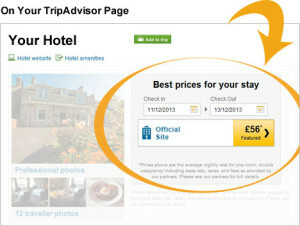 Accommodation businesses can receive bookings directly from the TripAdvisor website using a booking engine i.e. Freetobook. If you are already working with an OTA (Online Travel Agent) like Expedia or Booking.com you may find that the OTAs advertise your availability on TripAdvisor. These bookings will come through the OTA (not directly from TripAdvisor) and look like any other OTA booking and you pay your agreed commission to the OTA, as usual. 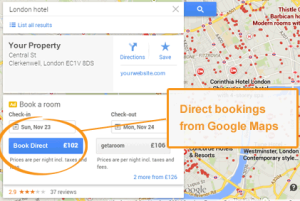 The OTA pays to advertise on the TripAdvisor website, each OTA decides if they want to advertise your availability. You have no control over this. 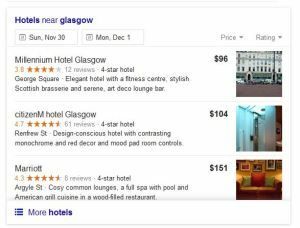 TripAdvisor lists availability and prices prominently so properties that don’t have online rates will be more difficult to find and if they are found they’ll be surrounded by images and popups directing customers to nearby available properties. 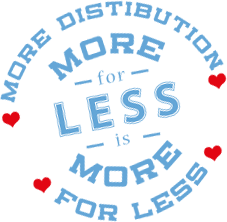 In short, if you don’t have online rates you will receive less traffic and fewer bookings than in previous years. If you do want bookings this way then you choose your route, direct with TripAdvisor or through an OTA – either way there is no requirement for any fixed upfront costs, no subscriptions or annual fees. To get bookings direct you will need an account with TripAdvisor and an approved booking engine (or connectivity partner i.e. freetobook). Simply login to your TripAdvisor account and setup your direct advertising via their TripConnect service. Most approved booking engines charge for this service but with us it is completely free. To advertise directly on their website you will need to pay TripAdvisor. In their wisdom they have created two models for payment (hence our two videos mentioned earlier). Here you pay TripAdvisor a click fee each time a customer clicks on your advert, on a Cost Per Click (CPC) basis. However, you DON’T pay for a search, you only pay when the customer searches AND then clicks on your available price. If you are not available on the dates the customer searches or they don’t click the price then you don’t pay. You pay when a customer clicks on your available price. TripAdvisor sets the click costs and from feedback they are generally quite low (but we can’t see or know the cost, they are only visible in TripAdvisor). You can vary what you pay per click (your bid). If you bid too low then TripAdvisor will remove the advert and you would have to increase your bid to show again. If you work with an OTA they might also advertise alongside your CPC advert. You set the budget and pay TripAdvisor and can switch it on/off as you please. In this model you pay for the advertising and you measure the bookings that come from the clicks. Bidding higher for clicks will make you show at the top of any adverts on your property and bidding too low will mean you don’t show. You make the judgement as to the cost effectiveness of your advertising by totalling up the bookings versus the click costs. Ideally that return has to better than any other booking options i.e. OTA commissions. Enjoy the youtube video on the Cost Per Click model. In this model you only pay TripAdvisor for bookings. There is no cost for each click, instead you pay a commission amount on realised bookings. You set this up by logging into TripAdvisor account and activating an Instant Booking campaign. You pay TripAdvisor a commission fee only after the customer has completed their stay. At the time of this blog Instant Booking is not available to all properties. Use the Instant booking link below to check. You pay either 12% or 15% commission after the customer has stayed. If you bid 12% then TripAdvisor will show your advert 25% of the time. If you bid 15% then TripAdvisor will show your advert 50% of the time. No other OTAs will show if your advert is showing. There is no payment/commission due on bookings that cancel. By now you are either asleep or completely up to speed on direct bookings from TripAdvisor….. that is before it changes (only joking!) As always, please share your experience of this service or any other relevant news, let us know how it has or hasn’t worked for you. Millgate B&B was awarded the best B&B in the World 2015, why not have a little read about how Sue did it along with a few tips to learn from. Labeling websites as mobile-friendly will help Google rank them higher for users on phones. The message from Google is loud and clear so any late arrivals need to get serious about mobile. Simply put there is now a penalty on Google for not having a mobile website. You don’t want to see this message ! It’s bad news. 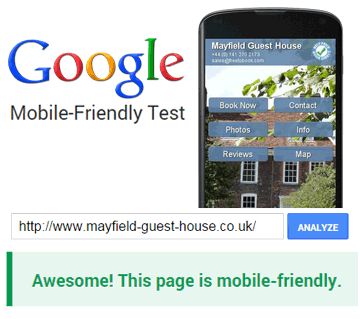 Google now offers a free tool to check if your website is mobile-friendly. Check your website here. Frankly, it’s frustrating to visit a website with a phone and have to scroll to find things, read tiny print and wish that your fingers were the size of matchsticks as you try to click the correct link or back track from the wrong link. Elegant, simple, mobile booking solutions have been part of freetobook from our birth. It’s easy and low cost to get your website and booking process mobile. Mobile websites for accommodation providers need to designed specifically for accommodation, you need something that fits your business. All our mobile sites are automatically updated when you update your details in freetobook. News has just come out on new hotel selection functionality for the TripAdvisor website, adding to the booking experience for TripAdvisor’s customers. Selecting accommodation will be more personal with the TripAdvisor “Just for You” feature. Millions of customers using the site could be directed towards hotel selections customised for them by TripAdvisor’s personal data. Selected hotels will be based on a TripAdvisor customer’s individual profile, this may include, travel style, brand, amenities and location etc. Customers will be able to “tag” preferences, you can see the tags live on the new hotel pages when you login as a customer (see example below). Just for You is highly adaptive and learns from favourite hotels and destinations. At freetobook we can easily imagine more in-depth personalisation which could include search history, review sentiment, pages visited, hotels liked, along with facebook or other data merges. 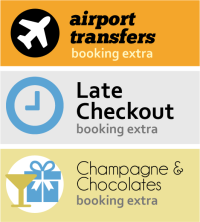 The new selection tool follows the deep vein of booking friendly usability that includes TripConnect and Instant Booking. There can be no doubt that TripAdvisor is continually adapting and improving their booking functionality with a view to increasing the number of bookings taking place on their website. The importance of being bookable on the TripAdvisor website will continue to increase. 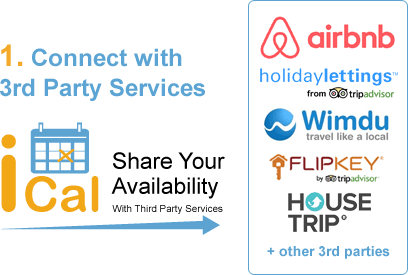 Right now hotels can do this in one of two ways, they can use TripConnect with pay per click or connect via an OTA which will advertise for them. 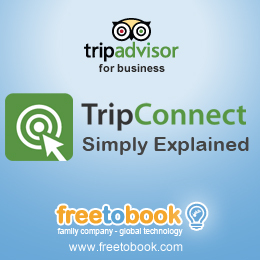 All freetobook customers can take advantage of the TripConnect direct booking platform as freetobook is a premium partner with TripAdvisor. We are also the first booking engine in the world to certify on the soon to be launched TripConnect instant booking platform, where customers transact the booking without leaving the TripAdvisor website. 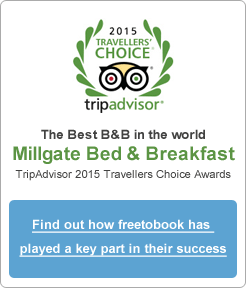 More information and further reading on the TripAdvisor possibilities with freetobook see below.